We are deeply humbled and greatly proud to announce that ALS is now catalogued at Pubmed (NCBI). 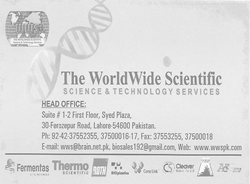 With your support, we have joined the league of the world's finest science journals and become one of the top journals from Pakistan. Keep supporting..